The Kiwi 2 is no longer available. Click HERE a link to the NEW Kiwi 3! This is the brand new Ashford Kiwi 2 updated spinning wheel. The Kiwi is prized for it's economical design and host of basic, but solid features. If you're learning or teaching and are in need of an inexpensive wheel, this is the right wheel for you. 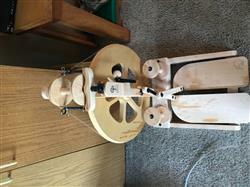 The double treadle makes spinning more comfortable, it also makes it easier to stop and start. There are add on kits, like the jumbo flyer, available that allow you to adapt the wheel to spin different types of yarn. It is a single drive castle style wheel weighing only 12 lbs. 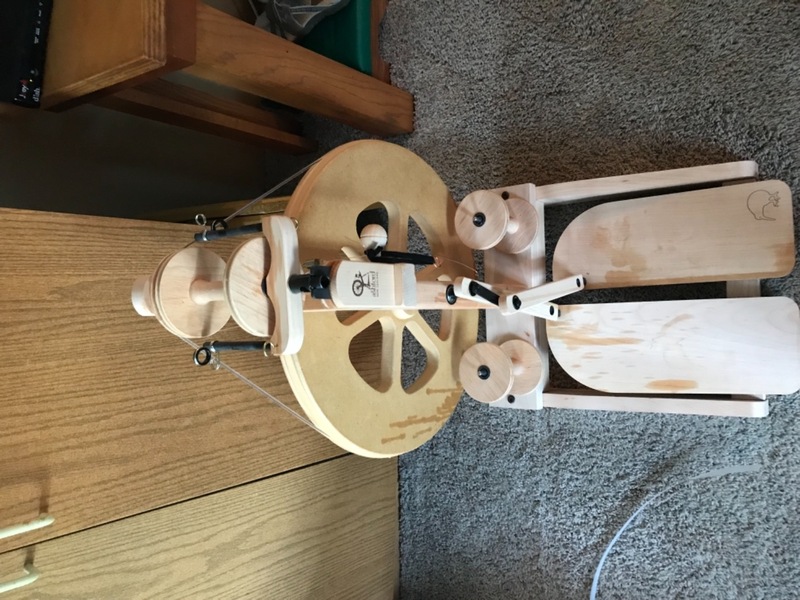 This wheel is a great value for learning the basics of spinning wool and other fibers. It features new hinged treadles for smoother action than the previous Kiwi. Aside from the basic overall design improvements it now comes with an updated sliding hook flyer. The Sliding hook flyer allows you to move the guide on the flyer as little or as much as you like instead of being stuck with the hooks on the old style flyer. 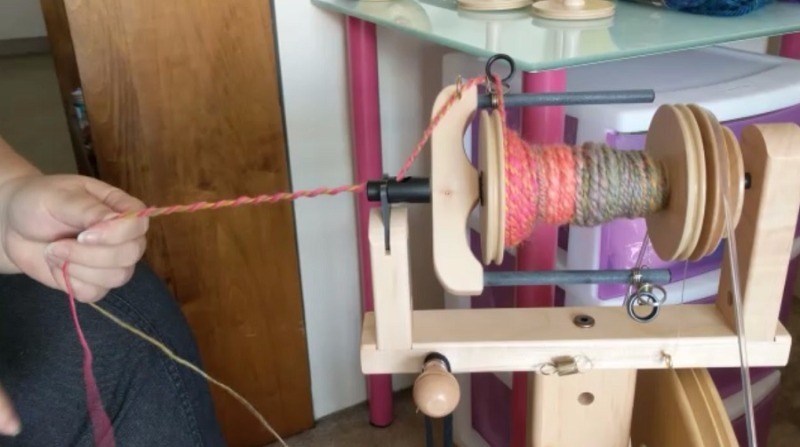 This new flyer can accept the old style or standard Ashford bobbins but the new sliding hook bobbins that go with this flyer (included) hold more yarn so essentially the new Kiwi Wheel holds more yarn on the bobbin! 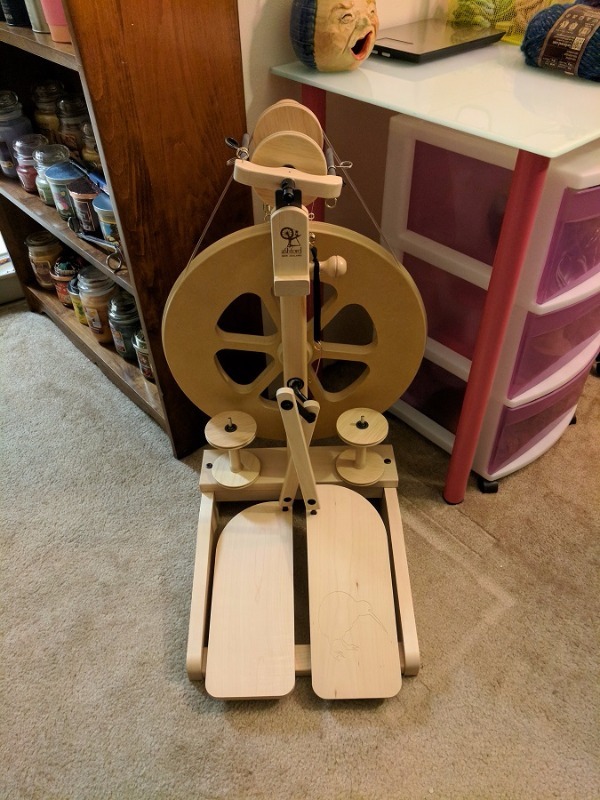 This is my first spinning wheel after learning on a spindle and I love it! It didn't take long to put together and I was spinning. Easy to pick up and learn. I'm very happy with this purchase! Very good-love getting the paradise points for purchases. Will be back again! In general I like the wheel. It does take some assembly, probably took me 2 hrs working slowly, taking breaks. A few quirks when I first started spinnng, the wheel tended to get “stuck” and turn backwards a lot which caused the yarn to get twisted around the yarn guides-I’m not sure I like the carbon fiber flyer arms. If I could I would replace the yarn guide set up with hooks. Plan on waxing your wheel if you buy it unfinished. Have some oil or Vaseline on hand to prevent squeeks. I have not learned how to spin yet. Hopefully I will be able to. My friend can spin very good on it and says it is a good wheel. I need a better video of how to spin on THIS spinning wheel.